When it comes to credit card transactions online, you can never be too secure. But, for the consumer and business purchasing managers, using Google Checkout is one of the most secure forms of doing eCommerce on the Web. Implementing Google Checkout into your online business is a major plus for the customer on the web. Google Checkout is the ideal solution for secure eCommerce shopping; with the ability of a buyer and consumer to use any major credit card, and maintain privacy for the buyer and his or her supplied credit card information from being shared with any seller. This keeps your customers' Visa, MasterCard, Discover Card, or American Express card information secure. Online privacy and security of financial information is extremely important for consumers and corporate buyers alike. Keep it secure and private now for your customers' sake. Read more about using Google Checkout for secure ECommerce today. Think about this when it comes to dealing with the costs of credit card transactions online for your B2B or B2C ecommerce website. Make it as easy as possible for buyers to purchase from your website by implementing Google Checkout for the online checkout process. If you are confused about implementing payment gateways or trying to make sure that you have built in secure shopping carts for your buyers, then Google Checkout is a great place to start for your business today. Professional Web Services, providing Internet marketing services for B2B and B2C companies in the twenty-first century. You may not have noticed it, but a while back Google changed their Fav Icon from an uppercase "G" to a lower case "g". The Google Favorite Browser Icon is what is displayed in the tab area and the front of the address area of a browser like Internet Explorer, Firefox, or Safari when browsing to a Google Branded website. I know there was an official response as to why Google changed and updated their Favorite Icon, but I have my branding thoughts too. Read more about the New Google Favicon. This Fav Icon story segues into understanding your business website and online branding too. Most people in the business world don't have a clue that their home page of their website is not really their home page at all. The home page of a website is Google. Let me explain that statement and expand on the Google Home page premise for your website. Read more about Google is Your Website Home Page. Get your business found in Google Search Engine results pages now. 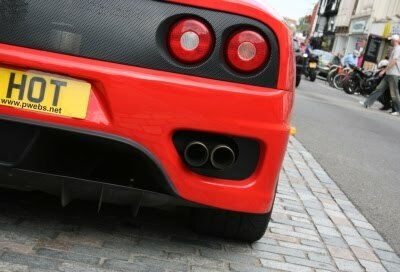 Start gaining new sales leads, new customers, and expanding your market reach online with Internet marketing services by Professional Web Services, Inc.
First off, Gmail is Ferrari Hot! And let me tell everyone up front that by having a Gmail account has made my life much easier, increased my productivity, helped me to be more organized, and faster on the road. One of the aspects about dealing with numerous customers in both B2B and B2C industries are in many cases the requirements to have an email address with the domain name I am working with at the time. As a business representative for our clients, I need to sometimes make contact with various client related business interests, and having a email address with that customer's domain name is advantageous for representing the company to the third party. However, with so many email addresses to check on a regular basis, it becomes difficult to stay on top of all the communications items. This is where the Gmail email system comes in handy big time. What I do is forward my emails from all my other accounts into a central Gmail address location. This way, I don't have to go in and check my emails at all my other email addresses. But, you say, "I can forward my emails to any location that I want." Yes you may be able to do that, but Gmail offers a feature that also allows you to respond as though it is coming from the other email address. You can also send emails through POP SMTP from another email account or using the IMAP function, import old emails from other accounts and synchronize all emails with Outlook or other email programs running on multiple computers at the same time. Here are some of the various mail clients along with the instructions on how to configure them for Gmail. Sign up for a free Gmail account. Read about more things you can do with Gmail. Take the next step for your business organization with Google. Use the Gmail interface software engine via Google Apps for your domain name. One of the features that Google Apps has for any company is to use Google's Email servers to handle your daily email requirements for your company. There are two levels of service provided by Google. One is the free and provides over 7 GB (and counting) of email storage for each email account. The other is $50 per user per year and provides 25 GB of email storage for each account. Both the standard free edition and the paid premier edition come with full administrator control panels for a central IT person or even a non IT person to set up new accounts and control access to established accounts. Just like in the Gmail accounts online, users can access their accounts through the online control panel, IMAP, and POP SMTP email client settings. I am convinced that Google Security for your Emails are better than any security at any company. Read the past article on Cloud Computing The Google Way to understand the reasoning behind my statement that Google is more secure than even your company. I know that may come as a very bold statement to some, but I encourage you to read the article and think about the economy of scale and understanding of their security measures in place, along with independent security audits that are conducted regularly. Gmail offers entire organizations and businesses personalized email addresses like jsmith@yourdomain.com. Gmail comes with helpful features to make email more useful, like award-winning spam and virus filtering, up to 25 GB of storage per account, powerful search to find messages as fast as you can search the web, and instant messaging built right in. The Gmail web application is accessible from anywhere, and you can even sign in from your mobile phone. Or if you prefer, you can access email from your favorite mail client like Outlook or Thunderbird using POP or IMAP at no additional cost. Why switch to Gmail Google Apps for your domain name? There are many reasons to do it, but two of the top reasons in my book would be that the storage capacity is simply enormous, and you never have to throw any emails away. Remember, most companies are using their website servers also as their email servers. This means they are limited by how much data they can store online in the email portion before things have to get purged. Most companies provide their employees with significantly less email storage area, and what happens many times is their email boxes fill up and need to be emptied to make room for new emails. Other times, a main IT person or administrator is constantly going into the email accounts and purging past emails to make room for more. Whereas with Google Gmail Apps, users have a huge storage area which are unlikely to get filled up except by the super power huge file receivers of email information, and even then, I imagine that Google would just add more capacity for specific power hungry email users. By-the-way, I am talking from first hand experience on both the free Gmail email available to anyone online and Google Apps for a domain name, with a private label email address using the Gmail email software to drive it. Using the Gmail Google Apps is like driving a Ferrari very very fast. And you know what? Others wish they had one too. Maybe someday. Get your business found online fast. Don't let the competition pass you by on the Web. 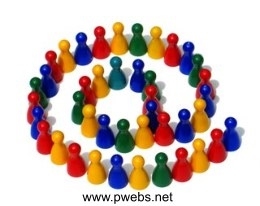 Internet marketing by Professional Web Services will get your business found in the search engine results. Search engine marketing for the 21st century. Investing in proper sales and marketing strategies online are keys to business success today. Read the rest of the story. What is the Secret to Sales and Marketing Success? Don't sit on the online sidelines. Get your business discovered on the Internet today with Professional Web Services, Internet marketing services, and search engine marketing for ultimate sales on the Web. Are you thinking of sending a mass email marketing campaign to prospective clients? Well, this article is for you. Learn the ins and outs of what you need to do in order to comply with the legal requirements when setting up an email marketing campaign. This is important for your business today, especially as the world is becoming much more of an online commercial sphere for businesses, engineers, buyers, and consumers. No misleading subject header information. Must be identified as advertisements. Must include a valid physical postal address for the sender. Must include a conspicuous notice of a recipient's opportunity to decline further commercial messages from the sender and must remain valid for at least 30 days after a message is sent. Opt-out requests must be honored within 10 business days. However, affirmative consent may be obtained to resume the sending of emails to recipients who previously opted out. Quotes from Eric Sinrod, Attorney with Duane Morris, LLP in his article titled, "Commercial Email - Getting It Right"
Increase your online marketing exposure with Professional Web Services, Inc. professional Internet marketing services. Contact us today for a marketing analysis for your business. Start gaining new customers online now. I got a chance to attend a really informative half day Google Innovation seminar held at the Santa Clara Marriott on Wednesday. The conference theme was how Google is innovating for businesses in the form of cloud computing applications and passing cost savings through some really wild changes for IT departments to save tons of time and money over traditional ways of finding, sharing, and the securing of all internal data, along with major improvements in the productivity of workers and huge cost savings to both big and small enterprise companies. Cloud Computing comes from the cloud illustration of having various IT services and software applications residing in off site data centers. Typically the computing resources being accessed are owned and operated by third-party providers. Cloud computing is getting much more notoriety today as business are looking for ways to streamline costs and improve the productivity of their workers from those that work in small company environments and to large companies — with workers from many satellite locations around the world. Wednesday's keynote address was delivered by Dave Girouard, President of Google Enterprise. He presented some great insights in to the economy of scale. One of the aspects that we have all seen in the past few years is the price on computer storage has decreased exponentially while at the same time the drive storage capacity has increased significantly. The price per gigabyte and the price per terabyte is just incredibly low and dropping everyday. Five years ago, very few outside of the computer industry had heard of a terabyte hard drive. Now, people can go over to Costco or Fry's and pick one up at lunch time for $200.00 or less. Imagine that! Google has taken this economy of scale to new levels that no one else in the industry has ever imagined or implemented. When it comes to dreaming and dreaming big, Google is above the clouds on this one. For example, Dave pointed out in his keynote address, in one of the larger Marriott meeting rooms filled with IT and business personnel across all industry facets, of just how the economy of scale is taken advantage of by Google. Google discovered early on that one of the implementation aspects of all this Google Search power was the need for massive numbers of computer servers along with a massive supply of electrical power to run all the servers. Google is number five in the world for producing computer servers; of course they use all those computer servers produced for themselves. They have streamlined a flavor of Linux Open Source software that is custom to their own needs without the need for the various portions of the Linux code that is not used by them. With this approach, and their proprietary file structure that was hinted at, they claim that they can upgrade all of their server's operating system in a matter of hours across all of their data centers worldwide. Imagine that, simply executing some command at one location and updating their software everywhere. While the economy of scale was impressive to think about just from the computer aspect, Dave also gave insights into what Google is doing on the renewable energy front and also being able to supply power at costs below those of coal fired electricity plants. Energy is really one of the greatest bottlenecks for this type of operation, and it makes sense for Google to devote financial resources into this area for business. Who knows what cool discoveries might come out of this division. Dave proceeded to give the conference attendees an overview of everything related to Google Enterprise, Google Search Appliance, and Google Message Security that seemed to be well received by all those that were attending. Security was one of the main topics that was covered in depth. When it gets down to it, I believe that after hearing how security is structured at Google, both for storing of data, and for independent audits that are being performed within Google Corporate, they are on the forefront of providing the most secure data structure of any business out there, including any individual enterprise themselves. I had the opportunity to sit up front with my brother and associate on my right side, and the Google opposition, Microsoft, Information Worker Solution Specialist sitting on my left. I'll be nice, I won't give his name here. I had to laugh at that one though, when he introduced himself to me prior to the keynote address he said, "Hello, I'm so and so and I'm the opposition here, of course with full disclosure. I need to be up front with that." I did see him taking lots of Google notes. In the back of my mind, I thought, Microsoft could save a lot of money if they were to start using Google's Enterprise Solutions. But, there's not a snowball's chance in hell of ever seeing that happen. However, we had a little time before the meeting started that I shared with him of what my thoughts were for improvements to Microsoft Live Small Business email and other applications. I was nice, but I tell it like it is, and shared some inside application impressions and told him in no uncertain terms, that first impressions are what matter. So, when it comes to apples and oranges, there really is no comparison. There are more things different then there are the same. I'm not going to go into comparisons here, but suffice it to say I was really impressed with Google's top notch approach to placing the customer first. Dave got to the point, when he stated, "the customer is one click away from using someone else for search." And, I truly believe that Google is not going to forget that anytime soon. When it comes to providing secure enterprise solutions, Google believes that if it doesn't make it easier and better for the client do, then it probably should not be implemented. Everything I saw from Google today was making things better, easier, faster, more efficient, more productive, improved cost savings for businesses, and cool too. Of course there was much more in depth talks and live demonstrations, along with actual walk thorough visual applications and "Q & A" sessions for most of the Google Enterprise solutions. If you get a chance to attend one of these Google Innovation for Business seminar events held around the country, I suggest you take advantage of it. I have to say that, breakfast and lunch was great too! By the way, Professional Web Services has tested and implemented many of the Google Enterprise solution applications across numerous types of businesses. If you need help in this area, we're just a short email click away. Contact us for all your professional Internet marketing needs too. Start getting more leads today. Get a fresh search engine friendly website design now. Online marketing comes in all shapes and sizes. 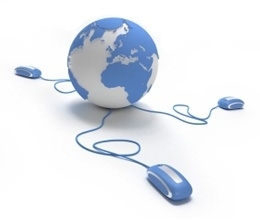 The Web is a web of links that cross back and forth from all corners of the globe. Businesses need to think in terms of having an online global presence that is continually on an outreach ministries mentality. The days of placing a website online and just sitting back, and thinking that since we have built it, they will come in the form of new customers, is long past. Are Your Advertising Costs Getting Too High? With Microsoft having withdrawn its bid for Yahoo!, Carl Ichan was quick to step in and try to place his own controlling board in charge of Yahoo at the next annual shareholders meeting. Well, I am one to think that no matter what happens, most of the folks have not thought of the end game scenario. Microsoft certainly didn't think of the end game when Yahoo rebuffed Steve Ballmer's attempt to acquire Yahoo. After saying essentially that nothing was going to stop Microsoft from acquiring Yahoo, that is in effect what happened (at least for the time being). With the dog's on it's tail, Yahoo!, with the help of Google, a long time acquaintance and friend are ready to work out a new advertising arrangement. 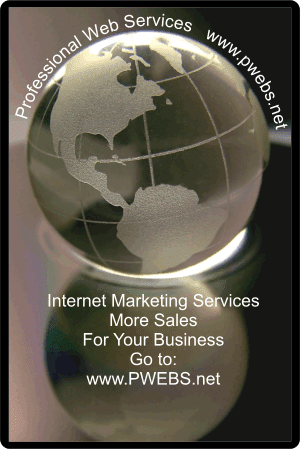 Contact Professional Web Services today for help with all your Internet marketing needs. Get your website found online.